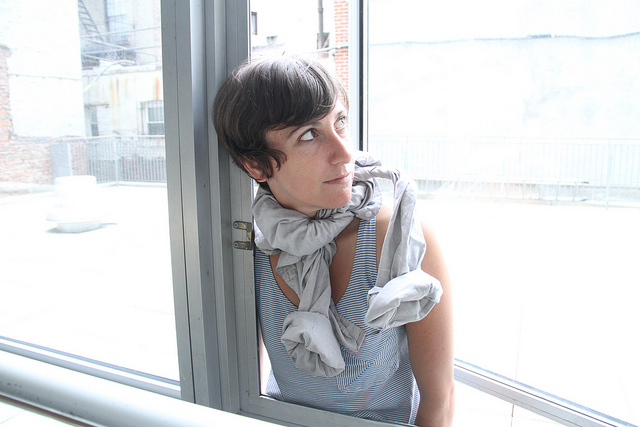 Vanessa Anspaugh is a choreographer, director, performer and teacher based in Brooklyn, New York. Her own work has been presented by a Dance Theater Workshop, New York Live Arts, Danspace Project, AUNTS, Movement Research, The Kitchen, Highways in LA and Studio 303 in Montreal. After being a Fresh Tracks artist at DTW in 2010 she has since received a BAX Space Grant, a STUDIO SERIES residency at Dance Theater Workshop and a Hunter College Artist in Residence position last Winter. She has taught dance at Smith and Mt. Holyoke colleges in Massachusetts and is currently a guest teaching artist at Bard college. As a performer Anspaugh has enjoyed working with, and performing for, Juliette Mapp, Faye Driscoll, Jen Rosenblit, Emily Johnson and Lisa D’amour, Taylor Mac, Aretha Aoki, and RobbinsChilds among others. She holds a BA from Antioch College in Yellow Springs, OH and an MFA from Smith College.